At Colorado Complete Health for Women, we offer convenient online appointment scheduling for our patients. At Colorado Complete Health for Women, we now offer secure online bill pay for your convenience. Care for women from women who care. Our experienced obstetricians and gynecologists are here for you. 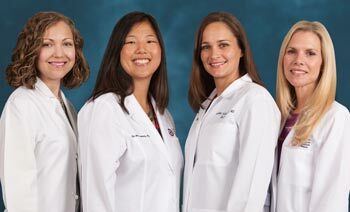 Our experienced staff specializes in women's health needs with preventative care, primary care, and OB/GYN issues. Colorado Complete Health for Women is a women’s health practice serving the women of Aurora, CO. We offer a warm and welcoming environment for women in all stages of life, whether they need pregnancy care, an annual exam or help managing menopause. Our obstetricians and gyneocologists are committed to our patients' needs and provide personalized care. We believe women deserve the highest quality healthcare from a compassionate and understanding physician who will always focus on your complete and continuous health. Colorado Complete Health for Women is built on a foundation of trust, a philosophy of holistic health practices and a belief that true wellness occurs when you treat the whole patient: body, mind and spirit. It's no wonder why patients come to us from Aurora, Denver and across the Front Range. Our obstetricians and gyneocologists are committed to our patients' needs and provide personalized care. We're proud to offer Minimally Invasive Vaginal Revitalization, a fractional CO2 laser procedure that alleviates the symptoms of vaginal atrophy. Learn more about our practice by exploring our video library.